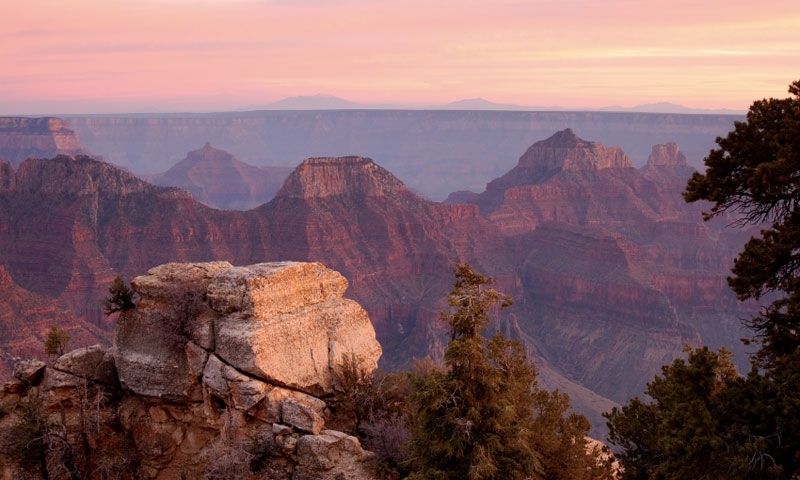 The North Rim is visited by only 10% of all Grand Canyon visitors. 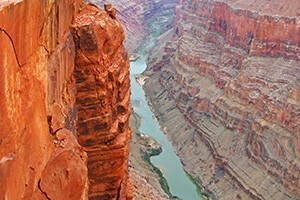 The rim trails, like the Kaibab Trail, rank among the park's treasured features. There are many highlights on this edge of the Canyon including Bright Angel Point, Angels Window, Cape Final, Point Imperial< and Roosevelt Point.